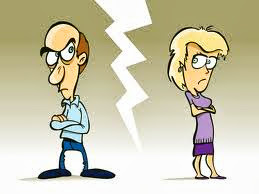 Story - Divorce after 35 years :) - Something New Everyday! 'We can't stand the sight of each other any longer,' the old man says. , 'You are not getting divorced. Don't do a single thing until I get there. I'm calling my brother back, and we'll both be there tomorrow. Until then , don't do a thing, DO YOU HEAR??' and she hangs up. OFFICE WORK or MONEY MAKING is not everything in life !!! !